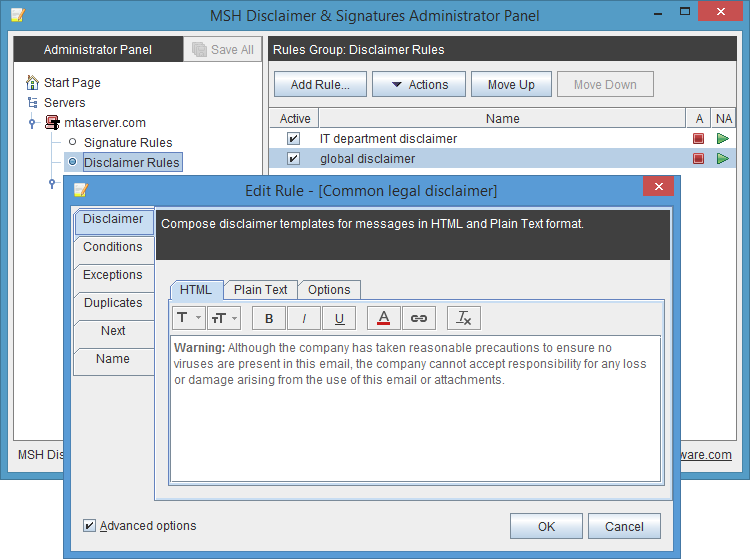 Insert signatures and disclaimers to email messages that are processed on the mail server. 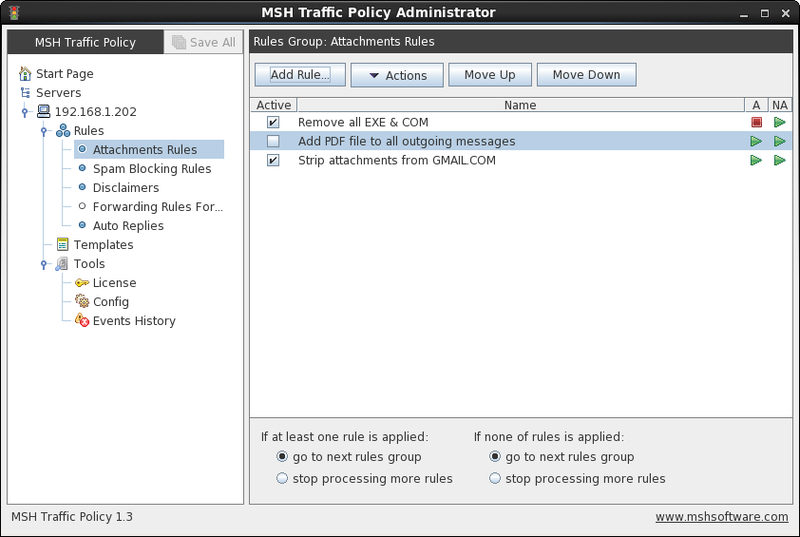 Email management system that allows to set server sided rules for automatic content control and flow administration. 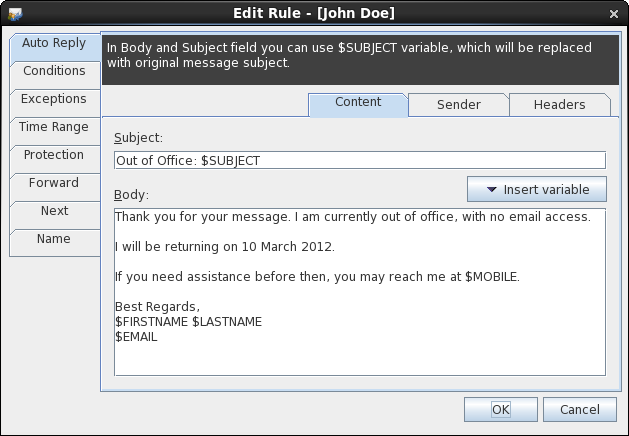 Allows to create server side auto responses on the basis of configurable criteria.